The Dark vengeance starter set has been unleashed on the unforgiven and the new Dark Angel Codex lurks over the horizon. 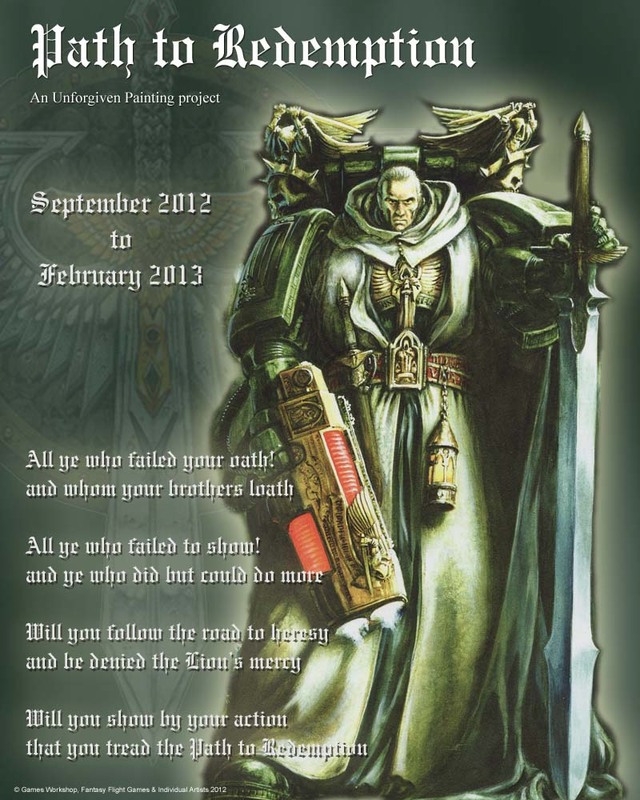 In keeping pace is this six month long Dark Angels Painting Event based in the Dark Angels forum of the Bolter & Chainsword Boar. All unforgiven brethren are invited to participate. This is your opportunity to complete that unit or model that remains half done in your cupboards.